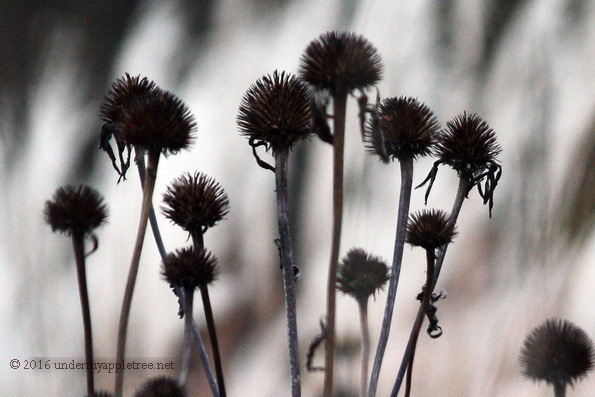 Almost wordless: I leave the dried purple coneflower standing in my garden during the winter. It provides a little interest in an otherwise barren landscape, plus the seeds are food for the birds. I like the B & W composition of this photo! I love the starkness of the photo. Agree about leaving winter weeds in place for birds and wildlife. Beautiful phot, and thanks for sharing.